This letter was courteously submitted to us by Haze, the founder of Tilikum&Co. Together, our petitions have garnered 100k signatures. Please visit the petitions here and here. Haze got her start as an animal advocate at an early age with her mother acting as the wildlife rescue in Florida where Haze grew up. Haze has continued this path by working locally to help both cats and wildlife. Haze also runs a twitter account with a focus on cetacean conservation. “… I started creating ‘stories’ for twitter and profiled some of the more popular orcas. What I had found in following Taiji ,and then Blackfish, was that there was a ton of info, but none of it was connected in a way so that someone new coming into all this could understand who was doing what and where.So, we ‘connected’ tweets into a story format. Haze’s twitter account for Tilikum&Co. can be found here. Many people grew up on Disney; it is a company that has delighted, entertained, and sparked our imaginations for decades. 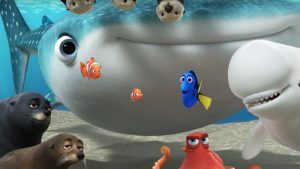 Disney knew that in order to stay relevant and at the top of the theme park industry they would have to keep up with the demands of an ever-changing society and they have. Using cutting edge technology and incredible animations, Disney has come a long way from the opening of the Magic Kingdom some fifty years ago. In 2016, they continue finding great new ways to delight children and adults alike. Miss DeGeneres hopes that this film will start a discussion about these important issues and so do we. 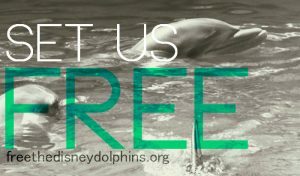 Disney itself is home to captive dolphins: the available events can be seen here. Attitudes on keeping cetaceans in captivity are changing. 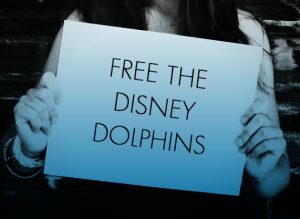 Since the release of the film Blackfish the public is much more aware and knowledgeable of the needs of cetaceans in captivity and no longer want to see them confined and forced to entertain or interact with the public. Recently, SeaWorld Parks and Entertainment stated they would stop breeding captive orcas due to public sentiment.This saw their stocks soar briefly only to see their shares drop to less than $16.00 each when news surfaced of a suffering orca they own and the death of another whale in their parks. A group of experts and scientists around the world recently launched the Whale Sanctuary Project. Information about the project is available here. The current standards for keeping cetaceans in captivity are over two decades old and in no way reflect the current science with regards to their needs. These standards will be changing in the future, further complicating the requirements parks must keep up with in order to continue displaying cetaceans in captivity. Please read this letter submitted by Dr. Naomi Rose of the Animal Welfare Institute. Through scientific discovery, we know that dolphins and other cetaceans are incredibly intelligent, have emotions, and are far ranging and highly social. The more we know, the more we understand that the needs of cetaceans cannot be adequately met in captivity and they suffer for our benefit. The conservation value in swimming with or feeding a dolphin is dubious at best. Clearly, the needs, wants, and expectations of the public are changing. We hope the Disney Company will change with it. A chance to live in a more natural world better suited to their needs in a marine sanctuary with human care. Because we think dolphins should be in the ocean, too.